With the changes in the energy sector and the increasing use of solar innovation, Sun Electric is providing smart solutions to provide clean energy around Singapore even if one does not have a rooftop. As a highly urbanized city, Singapore is readily accepting this new service. 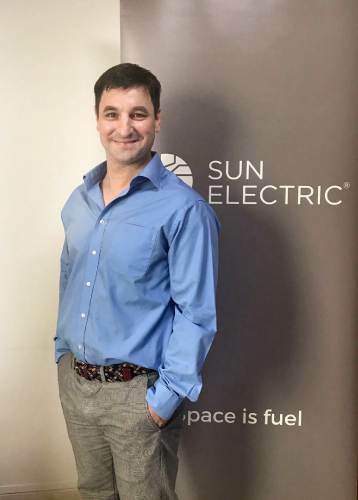 And having overcome various regulatory requirements, licensing agreements and network testing, Sun Electric has seen increased interest in their technology. Sun Electric sees great opportunity in technologically advanced and highly developed cities around the world. Currently, the company is licensed to operate in cities like Delaware and Dallas in the United States, Sydney and Melbourne in Australia, as well as Manila and Tokyo. While each new market has its own challenges, Sun Electric believes there is a path to expand their business in these places. “There’s a lot of promise in what we do and what we’ve done has been pioneering. That means we could potentially work in different cities and help them adopt clean energy,” said Sun Electric President Matthew Peloso. Sun Electric’s unique technology and business model ensures accessibility of locally produced solar energy for everyone. With several high-rise buildings and condominiums around Singapore, Sun Electric converts these unused rooftops into revenue-generating spaces and serves as a matchmaking platform for consumers and rooftop owners. With a layer-by-layer process of deregulation that allows consumers to choose their electricity suppliers, the company first targets corporate and industrial business with SMEs showing highest acceptance because of the more flexible processes. Given that electricity is a necessity and the growing popularity of clean energy, many customers, financiers and regulators have been inclined to adopt the new technology. “How cool is it if your city makes its own energy just because the sun shines every day? It’s an amazing opportunity to harvest sunlight, which doesn’t cost anything. This makes for a really positive future for the energy sector,” Peloso said.